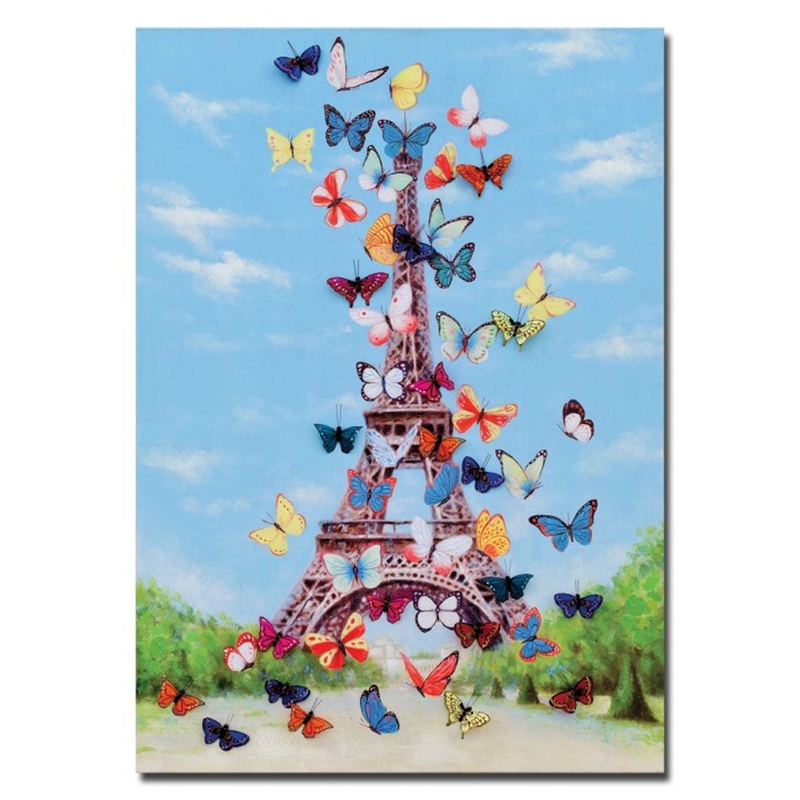 A canvas wall art picture depicting a rabble of colourful butterflies surrounding the world famous Eiffel Tower. A very vibrant and energetic picture with decorative butterfly figures arranged around the picture providing a 3D look and feel. Crafted to the highest quality it's ensured to last lifetime and bring a modern feel to any room in your home.